In a week where the Nigerian Army have finally started to make commendable advance on the Boko Haram militants, the Nigerian Army have finally retaken the town of Gwoza in Borno State. The Nigerian Army also began air strikes as well as ground operations in Sambisa forest, reportedly dislodging terrorists. The fundamentalist group have already started to record heavy casualties even as the Nigerian Army’s offensive enters its third day. It spells good news for the federal government which has come under a lot of criticism for its slack handling of the security situation in the North East. The Military had earlier pledged that they only needed six weeks to flush the militants and nip their activities in the bud. On how the terrorists were flushed out, Olukolade, in the statement, said: “A concerted air campaign by the Nigerian Air Force is ongoing in furtherance of the mission to clear terrorists from all their enclaves. “The air strikes which today targeted the training camps and logistics dumps of the terrorists in Sambisa Forests and parts of Gwoza have been highly successful as it achieved the aims with required precision. The death of a large number of terrorists has been recorded while many others are also scampering all over the forest and out of the struck bases. Details of casualty will be determined in subsequent phases of the operation. 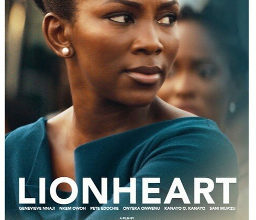 Genevieve Nnaji’s LionHeart movie is now showing in Netflix.